European Court sentences baby to death – Royal Times of Nigeria. A European Human Rights Court has given its verdict on a case of human rights that will compel a couple to allow their sick baby to die. 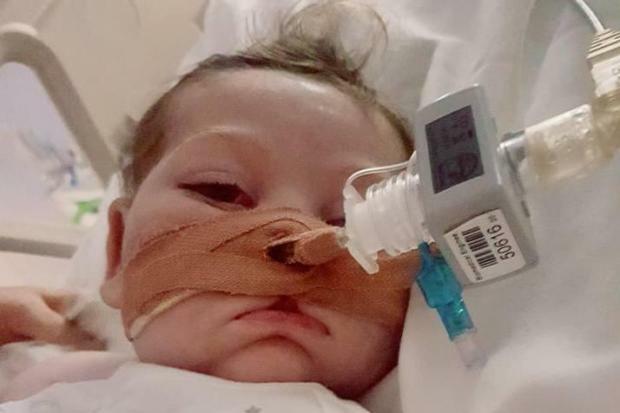 The parents of the baby Chris Gard and Connie Yates have been in a long legal battle to save their baby who is suffering from a serious genetic illness. The baby is currently on life support while treatment options were being considered. The court said that the baby was being exposed to continued pain, suffering and distress in pursuit of treatments that were unsure. It added that any additional treatment would continue to cause harm to the baby stressing that its ruling is “Final”. A spokesman for Great Ormond Street Hospital, where Charlie has been treated since October, has told the parents that there is “no rush” to remove Charlie’s life support. Meanwhile, Charlie’s parents have so far raised over £1.3 million through a GoFundMe account for his treatment. With the ruling of the court, the parents are unsure what they want to do with the money.